On May 18th 1922 the Post Office met representatives of eighteen companies, each with a single purpose in mind. Until now officialdom had refused permission for regular broadcasting of radio transmitters in Britain, worried that they would interfere with essential services such as the armed forces. However, by 1922 public opinion, as well as the spectacular growth and popularity of radio in the United States, had bought too much public pressure on the authorities to deny a full service any longer. After five months of deliberation a company to be known as the British Broadcasting Company was to set up eight stations in major cities around the country. Thus the BBC was born. The British Broadcasting Company started daily transmissions on November 14th 1922, by which time more than one million ten-shilling (50p) licences had been issued. In 1927 the company was restructured as a public corporation -the BBC that we know today- by its founding father, John (later Lord) Reith, but by this time an even newer technology was being developed -television. In 1923 the Scotsman John Logie Baird began developing a system by which television would be made possible. With those words Leslie Mitchell introduced Britain’s first high-definition public television programme from Radiolympia. The date was 26th August 1936. Ronnie Hill wrote a song for Helen McKay to sing called Here’s Looking at You, which also became the title of the show. Acts booked to appear were a performing horse named ‘Pogo’, The Griffith Brothers and Miss Lutie, The Three Admirals and the Television Orchestra, which had been hurriedly put together by Hyan Greenbaum. Baird and EMI transmitted the show from the studios to Olympia on alternate days. An estimated 123,000 visitors got their first glimpse of television in the viewing area at the show, with many more seeing it at Waterloo Station, which had been equipped with sets. The team had indeed been given a chance to do their experimenting. The Opening Ceremony (click on the picture to read the opening speeches). On November 2nd 1936 the world’s first regular high definition service began transmitting to the 100 or so TV sets available in Britain. With Reith’s approval or not, the BBC began transmitting from Alexandra Palace for two hours every day (except Sunday’s). A copy of the Radio Times dated October 30th reveals the opening day line-up. According to the publication, on this particular week the Baird System was being used. While the plan was to transmit the opening solely via the Baird system, as described in the press releases reproduced above, a last minute decision was made to repeat it using the Marconi-EMI system. If you think that we get too many repeats on TV these days, it’s interesting to note that Television Comes to London was shown no fewer than 3 times between Monday and the following Saturday. The entire week’s programming output was given a budget of £1,000. The range of the service offered by the BBC covered a radius of approximately 40 miles from Muswell Hill, although that was by no means a rigid limit. Some people reported picking up pictures from beyond that range although it seemed to depend on a mixture of freak conditions and which transmission system was being used at the time. But even in those early days it seemed to many that Baird was losing the race to have his system chosen as the definitive one, and on one fateful night the TV inventor’s world came crashing down around him. On 30th November, following the final transmission of the evening, a group of BBC staff were leaving Alexandra Palace when they noticed a red glow lighting up the night sky south of the river. One of them said. Within an hour, the famous London landmark, which housed every piece of Baird’s television equipment, was burned to the ground. John Logie Baird was effectively out of the television business. It took the Postmaster General three months to confirm Baird’s fate by announcing that the Television Advisory Committee had recommended termination of the dual-transmission period, and that a single standard -Marconi EMI’s, would be adopted. On Saturday 13th February 1937 viewers watched the last Baird programme; A Half Hour of Variety. Elizabeth Cowell before the BBC cameras in 1936. The next landmark for the BBC came one month later, 12th May 1937, when cameras were sent to cover the Coronation of King George V1. This was not the BBC’s first outside broadcast. Apart from the fact that this was a major historical event, the day had begun with blustery showers and at times very poor visibility. A few minutes before three a breakdown occurred and the technicians, who had planned for this sort of thing, switched over to a second channel. It too had broken down. With the transmission time now upon them and no pictures to broadcast, the technicians worked furiously (and one imagines in no small state of panic) to locate the fault. Final to be televised by the BBC. The Boat Race (April 2nd 1938) and the FA Cup Final (April 30th 1938) and Test Match cricket (June 24th 1938), were also available to viewers in the comfort of their own homes for the first time. Neville Chamberlain’s historic broadcast. By now the corporation were taking great strides in television development. Not only were there improvements in picture quality with the introduction of EMI’s Super Emitron, but also there were bolder drama productions and more confident programme making. Clive of India broke new ground when W. P. Lipscomb used camera controls that enabled him to use slow, medium and fast panning shots. He also used a montage sequence, employing no fewer than six cameras -three of them on ‘live’ action, two scanning films and one on the caption board. By 1939 programmes were being broadcast seven days a week from Alexandra Palace -which Gracie Fields had nicknamed ‘Ally Pally’. There were 23,000 licences and the television industry now had its own slogan. Predictions were made (not unrealistically) that by Christmas there could be as many as 80,000 receivers in use. Then on 1st September 1939 the screens went blank. Viewers waited for an announcement but none came. Britain and the BBC were about to go to war, and the first television era had come to an end. We will not go into great detail here. Suffice to say, it will be of interest to any readers whose pension fund is in deficit or representatives working in the area of pensions. Not registered with us? Click here to login and access the full article. Don’t miss out, start your free trial today! Are you fully aware of the benefits of Legal-Island’s Employment Law Update Service? We help hundreds of people like you understand how the latest changes in employment law impact on your business. The information in this article is provided as part of Legal-Island’s Employment Law Hub. We regret we are not able to respond to requests for specific legal or HR queries and recommend that professional advice is obtained before relying on information supplied anywhere within this article. In light of the recent controversy against Jeremy Clarkson, host of the Internationally-renowned TV show Top Gear, there is a debate over whether or not the BBC will choose to keep Clarkson. After a string of controversies, the latest accusation is that Clarkson punched a Director, leading to a suspension. Clarkson is known for his role alongside James May and Richard Hammond on Top Gear. Top Gear is a British motoring show with a huge International audience. The next episode was due to be released Sunday, though the episode has since been pulled in reaction to the incident. As mentioned in the Introduction – Clarkson is no stranger to controversy. There have been numerous accusations that Clarkson is a racist, noticeably referring to a Thai man as a “slope”, while also using the “N” word in a rhyme. 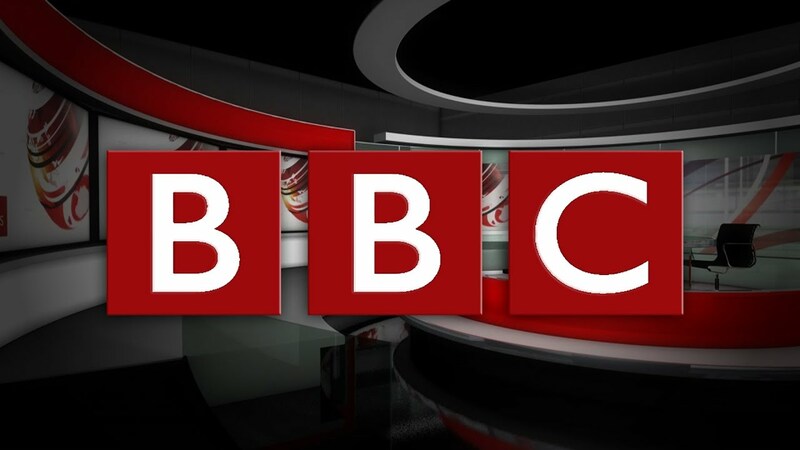 The BBC have been forced to apologise to the Mexican Ambassador to the United Kingdom before thanks to his outbursts, while also partaking in derogatory comments about lorry drivers. An online petition supporting Clarkson has gained over 800,000 signatures calling for the BBC to reinstate him. His popularity is obvious – Top Gear is one of the most-watched shows around the world. The BBC have also stood by Clarkson throughout his past controversies, so why cant they stand by him this time – considering it is not as bad as some of the previous controversies. Top Gear is also one of the top-money spinners for the BBC, they would suffer as a consequence of letting Clarkson go. It is apparent that through the past controversies, Clarkson is hardly the most pleasant man. Numerous racial slurs, homophobic comments and blatant tasteless comments hardly set a good example for someone in the public eye. While the BBC have stood by him, how much longer can they? The controversies continue to roll on, there seems to be no stopping them. [port, if a player is embroiled in a controversy, the saying “no player is bigger than the club” comes to fruition, this could be the same for the BBC – as much as Clarkson is important. BBC would survive without him. A controversy involving Jeremy Clarkson is barely something new – however you would presume there is only so much patience the BBC can have. But in an industry dominated by money, there is no doubting the appeal of Top Gear, and judging by the vast array of signatures on the before-mentioned petition – Clarkson as well. It is a difficult situation for the BBC, but one would expect to see Clarkson back on TV before long, but stranger things have happened. Only time will tell. Rapidly changing customer expectations from both inside the public organisation itself and external commercial and noncommercial clients, meant a massive change was required if BBC Monitoring was to remain relevant and competitive. Additionally, unexpected changes in the financial climate and reductions in funding, triggered the need to both reduce costs, whilst meeting existing commitments, and grow commercial income. Realising that its environment was constantly changing, BBC Monitoring working with Cognizant, opted for an ‘agile transformation’ approach to address the challenges. Cognizant worked closely with BBC Monitoring as a change partner initially forming a strong ‘blended team’. The Cognizant Consulting team proposed an ‘enterprise agile approach’ to iteratively disrupt, define and implement the future operating model, enabling both immediate business impact and the ability to continually adapt. To formulate the future operating model, a tested ‘Diverge-Converge’ approach was used, allowing for a time-boxed phase during which all ideas were accepted and considered. Using a range of tools and techniques, four very distinctive scenarios for BBC Monitoring’s future business and organisation have emerged. Following on from this blue sky thinking and analysing each of the four scenarios, the team converged towards a single view of a recommended operating model through iterations of disrupting, defining and implementing elements of the model. This has not only enabled BBC Monitoring to deliver new capabilities which enabled real business results but it has transformed the way the organisation can respond to change in the future. Further, since the introduced changes, there has been a 30% decrease in the cost and contribution from license fee payers. At the same time Monitoring’s contribution to BBC’s live news has increased and te commerciailisation of output has been strengthened through a new platform which saw an increase of active signed-in users by 150% and new innovative products and services. Twenty Twenty Television, Ltd., Defendant. United States Court of Appeals, Second Circuit. Appeal from the United States District Court for the Southern District of New York, 2003 WL 346110, Hellerstein, J. Eamonn Dornan, New York, NY (Russell A. Smith, Smith Dornan & Shea P.C., New York, NY, of counsel), for Plaintiff-Appellant. Laura R. Handman, New York, NY (Peter Karanjia, Davis Wright Tremaine LLP, New York, New York, of counsel), for Defendant-Appellee British Broadcasting Corp. CARDAMONE, Circuit Judge. Her complaint raises a number of legal theories, but at its core it alleges unjust enrichment and misappropriation of ideas. The BBC is a corporation existing under English law and established by Royal Charter with its principal office in London, England. The documentary about which Gross complains aired only in the United Kingdom (U.K.). She lives in New York City and chose to file the suit in her home forum, the United States District Court for the Southern District of New York where the case came before Judge Alvin Hellerstein. The BBC has a presence in New York, and is unquestionably subject to personal jurisdiction in the Southern District. The district court nevertheless decided that courts in Great Britain were a more appropriate forum for the trial of this action. Accordingly, in a judgment entered February 26, 2003 it granted the BBC’s motion to dismiss plaintiff’s complaint on the ground of forum non conveniens. Plaintiff timely appeals the dismissal of her suit. The official BBC Learning English app brings together all of your favourite lessons and presenters in one fantastic, simple-to-use package. It’s the best way to keep your English up to date! Whether you want to study grammar, improve your pronunciation, develop your English through topical new stories or learn the latest phrases to use in your everyday conversations, our app has the series for you. Take us with you; we’ll always be there to help you become a brilliant English speaker. The best way to learn a language to is to practise a little bit every day. Our app helps you do that with daily updates of amazing, fun and topical lessons, transcripts and quizzes. Watch your English grow! Watch or listen to each programme without using the text support. Then watch or listen again using the built-in transcripts and subtitles. Once you’ve practised your listening and reading skills, use the quizzes to test your understanding. The app will remember your scores so you can keep trying until you get the result you want. Which programmes are available? BBC Learning English is one of the world’s most popular providers of free English language teaching material. For more than 75 years it has been helping millions of learners, in over 100 countries, become better English speakers. If you choose to receive push notifications, a unique identifier relating to your device will be stored by Urban Airship on behalf of the BBC to provide you with the service. You can choose to disable notifications from the BBC Learning English app in your phone’s ‘Settings’. BBC needs no further introduction. It is one of the leading TV networks in the world producing some of the best programs with splendid British quality. This is how you can watch BBC from abroad. There is no wonder why people love the BBC programs and shows so much. BBC is an amazing channel giving you the chance to watch a whole selection of programs and TV channels online, but I guess you know that. After all you are here to find out how to watch BBC from abroad. This article is updated regularly, meaning that it should be up to date on methods working for the purpose of accessing BBC iPlayer from abroad. BBC is blocking lots of VPN services and providers, but the methods mentioned here should still be working. Whenever you are located outside of the United Kingdom and try to watch BBC live or some program on demand you will see an error message quite similar to the following screenshot. The error message tells us that BBC TV programs are available only for people in the UK. Hence they advice you to go listen to BBC radio instead as the video streams are unavailable. That can be cool, but if you want to watch Luther, maybe a sports event or maybe Sherlock then the radio advice will not bring much happiness to you. What can you do to bypass this screen and start watching instead? To watch BBC you need to make the Internet believe that you are located in the UK. The way of making that impression is by getting a local UK IP address. It might sound technical, but acquiring an IP address in England is really simple. All you need to do is to sign up for a cheap subscription to a so-called VPN provider with servers in the UK. My personal favorites for this purpose are PureVPN and ExpressVPN. Both VPN providers have great prices and great speeds on their British servers. After signing up for their services you can download their VPN client. With this, you can connect to one of their servers in the UK which will give you a UK IP address. Once connected all geographical blocks will dissolve and you can freely enjoy all UK content online from wherever you are in the world. Follow these four steps and you can watch BBC online in a few minutes. 1. Visit the website of either ExpressVPN or PureVPN and make a subscription. 2. Make a subscription for either 1 month, 6 months or 12 months. 3. Download the free VPN client and connect to a server in the UK. 4. Restart your browser and visit the BBC website. 5. Create a BBC account (if you do not have one yet). 6. Once registered you will be ready to stream BBC online from abroad! Ready to watch BBC from abroad? Go ahead and watch as you follow the above instructions. You can watch BBC online on the BBC website or using the BBC iPlayer. The method described here will work for both options, so go ahead and follow the instructions if you want to watch BBC online from outside the UK. This method is also ideal if you want to watch big sports events online broadcasted by BBC (and ITV). Examples of such sports events are European Championships and World Cups in football, Summer Olympics, Winter Olympics and much more.